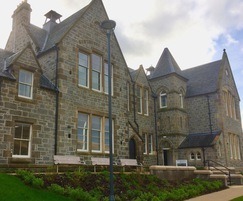 In May 2018 the Highland Council in Fort William, Scotland, relocated to a former secondary school that had been transformed and renamed the Charles Kennedy Building after the late MP who had once attended the school. 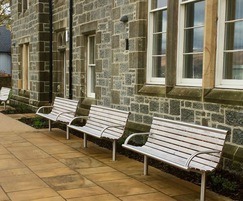 The development of this once neglected building has created a modern complex that provides both the local Fort William community and the wider Lochaber district with an abundance of up-to-date community facilities as well as a rejuvenated archive centre. 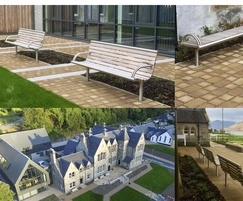 Main contractor, Robertsons, worked closely with the council to produce a sympathetic high-quality redevelopment of the site, including the creation of landscaped areas that called for elements of street furniture that would complement the old and new aspects of the build. 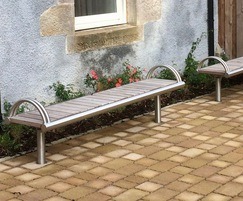 Benchmark Street Furniture was approached and put forward a range of design options that met this specification. With this area of the UK experiencing harsher climatic conditions the choice of materials needed to be carefully considered. 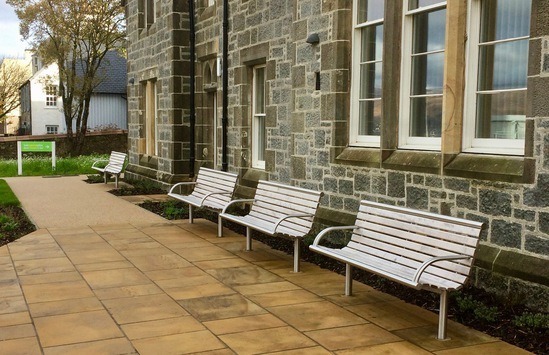 Ultimately items from Benchmark's Shoreline range were chosen, that combine 316 stainless steel with FSC approved iroko hardwood. 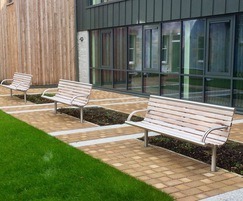 A suite of seats (SL003), benches (SL006), litter bins (SL052) and cycle hoops were installed in the newly created external spaces to be enjoyed by those who work or visit this impressive redevelopment of a once derelict site.